Sea-level rise will endanger valuable salt marshes across the United Kingdom by 2100 if greenhouse gas emissions continue unabated, according to an international study co-authored by a Rutgers University-New Brunswick professor. Moreover, salt marshes in southern and eastern England face a high risk of loss by 2040, according to the study published in Nature Communications. The study is the first to estimate salt-marsh vulnerability using the geological record of past losses in response to sea-level change. An international team of scientists, led by former Rutgers-New Brunswick Professor Benjamin Horton—now acting chair and a professor at the Asian School of the Environment at Nanyang Technological University—found that rising sea levels in the past led to increased waterlogging of the salt marshes in the region, killing the vegetation that protects them from erosion. The study is based on data from 800 salt-marsh soil cores. Tidal marshes rank among Earth's most vulnerable ecosystems. 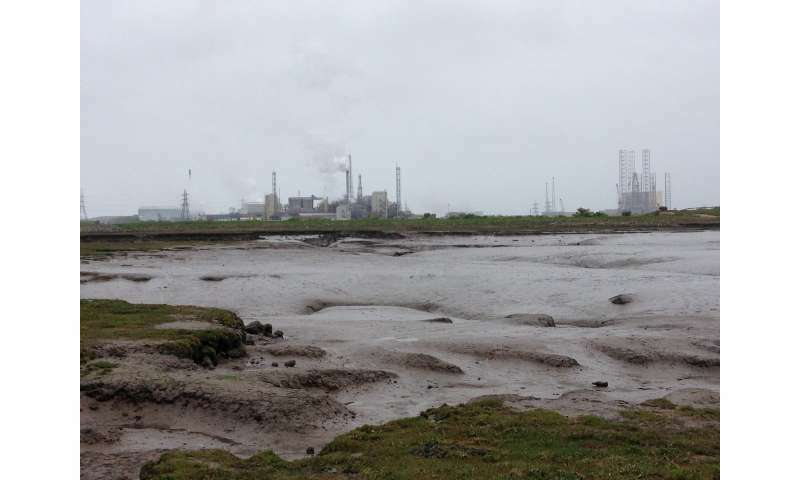 "By 2100, if we continue upon a high-emissions trajectory, essentially all British salt marshes will face a high risk of loss. Reducing emissions significantly increase the odds that salt marshes will survive," said study co-author Robert E. Kopp, a professor in the Department of Earth and Planetary Sciences at Rutgers-New Brunswick and director of the Rutgers Institute of Earth, Ocean, and Atmospheric Sciences. Kopp led the development of the study's sea-level rise projections. "Salt marshes, also called coastal wetlands, are important because they provide vital ecosystem services," said Horton. "They act as a buffer against coastal storms to protect the mainland and a filter for pollutants to decontaminate our fresh water. We also lose an important biodiversity hotspot. Salt marshes are important transitional habitats between the ocean and the land, and a nursery area for fish, crustacea, and insects. The take-home point from this paper is how quickly we are going to lose these ecologically and economically important coastal areas in the 21st century." While the study looks at UK salt marshes, the counterpart in tropical environments such as Singapore are mangroves, which are just as vulnerable to sea-level rise as salt marshes. "What is unknown is the tipping point that will cause a disintegration of mangroves to Singapore and elsewhere in Southeast Asia," Horton said. "We are currently collecting data to address the future vulnerability of mangroves to sea-level rise."